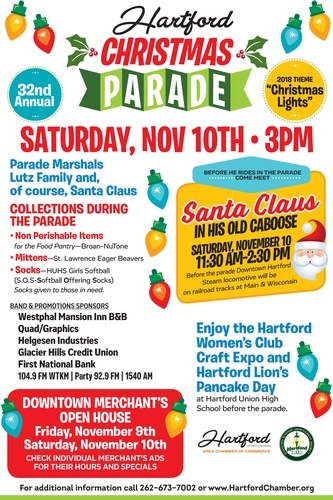 Hartford Christmas Parade "Christmas Lights"
Name: Hartford Christmas Parade "Christmas Lights"
Join in the fun at this annual family-friendly event! Parade steps off at 3 pm! Printable Parade Entry Form CLICK HERE! North Main Street & Union St. to South Main St. & Rural St.